What do you find your identity in? As a Christian, with Christian parents, I can not tell you how many times I have been told to do what’s right. Told to “be kind”, “be honest”, “be loving”, “be thankful”, and the list goes on and on. Or I’m told not to do what’s wrong. Told to “not be mean”, “not to lie”, “not to be ungrateful”, and I think you get the gist of what I mean. I even find myself saying these exact things to my siblings. The Bible also tells us to do what’s right and not to do what’s wrong. Now my point is not to say that this is bad. No, definitely not. It’s good to be reminded of what’s right and what’s wrong. Especially since we, as human beings, seem to forget things so easily (Just look at the history of the Israelites for proof.). But when we decide to do the “right thing” or the “wrong thing”, what is our motivation behind that decision? More to the point, why are we following Christ? Is it because we’re told to? Is it because it is right? As children when we’re told to do or not to do something by our parents, we obeyed. And all the explanation we ever need to obey is because our parents told us to (or maybe because we also didn’t want to get into trouble). But as we got older and smarter many of us asked the question “Why?”. Why should we do this? Why should we not do this? And now I’m asking you again: what is your motivation behind the decisions you make? 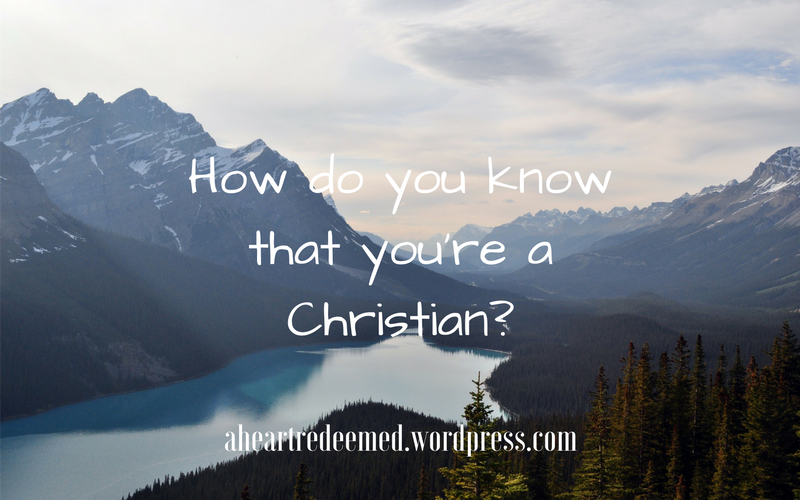 Why are you following Christ? If it’s because it is “right”, how do you know it’s right? Well, if God’s standards are your moral compass for judging what is right and what is wrong then you are on the right track. But because it’s “right” shouldn’t be the only reason you follow God. The most important reason we should follow God and do what’s right is because we love Him. We do everything for God out of love we have for Him. If you don’t have that love for God, it’s like doing a exercise you never want to do. How long will you keep it up until you quit? Knowing that something is right in your head is not enough. It’s not going to keep you going. You need a reason more motivating that. Your heart needs to be in it. You have to want it with all your heart. You have to love Him. Loving Him can motivate you to do anything for Him. It is the reason that Christians can face persecution with joy. We need to make sure that we have that love for Him, because we can never really live for Christ without loving Him first.